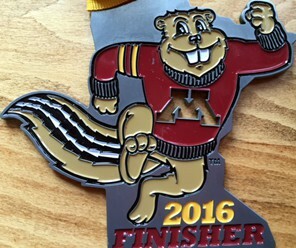 This weekend is the last “long” run – the 20 miler for those training for the Twin Cities Marathon in October. I saw some runners both days doing their long run. It was a hot and humid weekend. I’m training for the 10 miler so only 7 miles yesterday. I may have a marathon or two left in me but not this year. Even training for the 10 mile run brings satisfaction from training and following a plan. 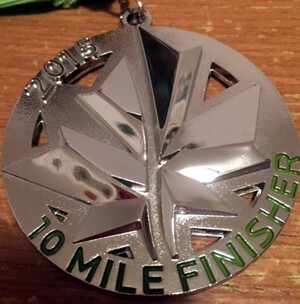 I remember the three marathons that I did and the 20 miler was the milestone. The culmination of months of work all leading up to the last big run before the really big run. I was excited for those running it this weekend because I know the effort that goes in without a guarantee that you will finish 26. 2 miles even if you train for it. Anything can happen on marathon day. But the joy of the work of the effort comes to fruition two times. One on the 20 mile day and the next on marathon day. There’s little that meets that level of excitement and accomplishment of doing the work and winning the day with a finish. We get so caught up in busy work each day, in meeting others’ unreasonable demands that we lose ourselves in the process. We lose our dreams and aspirations. But when we set out to do that goal, that mountain that we must climb on our own, there is something about it that makes it special. What’s your dream, what’s on your bucket list? Do it. Let all of the daily busy go and go for what’s in your heart. Pursue it with vigor and delight. It makes us come alive again. To feel apart of life rather than merely getting by. Get going on your 20 miler. My great nephew Liam was born the same year that my Dad and my two dogs Molly and Lily passed away. He was and still is a bright light, an oasis in the desert. And he just keeps getting better by the day. 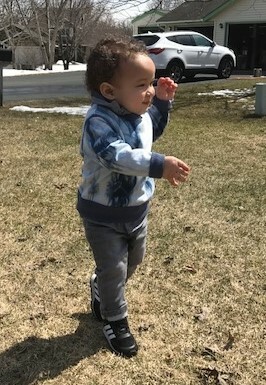 Each of us has the capacity and the calling to run with joy, to chase bubbles and to see the world through the eyes of our inner child who keeps asking us to come out and play. Enjoy your life unbound and with splendor. And by doing so, you give others an invitation to join you and if but only for a moment to find solace in difficulty and the rainbow after the rain. 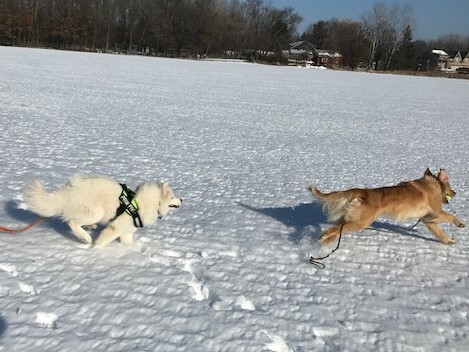 Run with joy. We all have it in us. The longing and the ability to take flight, to be airborne. To run so fast that you break gravity. Feel the freedom of flight if but for a second to get a glimpse of heaven. It is in us you know. In each one of us. Chase it. Let it chase you and get caught up in it. There is such delight waiting just outside our thoughts and fears. Calling us to come out and play. Pursue and be pursued. Pure magic. Twelve days and six flights later, I’m home. A business trip on the west coast, vacation on the east coast and a last minute business trip in the middle made up the first half of January. All travels went very well. 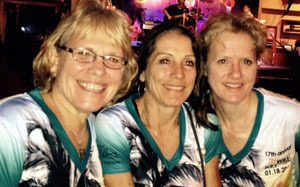 The annual “sole sisters” half marathon trip with Jeanne and Linda dropped us into Key West, Florida. Considering winter, busy schedules and a few ailments, we were all thrilled to finish healthy and happy. The ocean, sun and blue skies with friends who know and accept us as we are make up the ingredients for a good time. There’s something about getting away to change your perspective, relax and discover new places and people. There’s also something about coming home, refreshed and grateful for the people/dogs and places that just feel right. In all of our travels, across the country or across town, we can be present to each moment with our hearts open to discover the beauty that surrounds us and within us. Cast light and let light in. Thanksgiving morning began with the Turkey Trot 5k with my nieces and nephew Emily, Jenna and Mark in 0 degrees. It ended with sixteen family/friends, four dogs, two turkeys and new memories as the holiday season commences. Many find this season difficult with loved ones who are gone and/or strained family relationships. It’s easy to retreat and hibernate. But if we keep moving and living as fully as we can, we honor those who are not with us by staying in the game. And when rooted by the love and companionship of friends and family, all things are possible, even forgiveness. Care for your roots and plant some new ones this season. 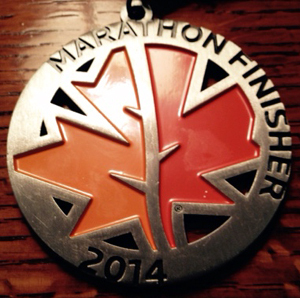 There’s so much more behind the engraved medal at the end of the marathon. Traveling as light as possible, I don’t carry my phone so I can’t capture the beautiful scenes on the journey. But each mile has pictures engraved in my memory. At the start line, thousands of runners gather hopeful and excited, sprinkled with a bit of fear of what’s to come, but starting just the same. My first marathon with my brother John and both of our third marathons. From start to finish, people gather along the streets clapping, jumping, cheering for strangers – scattering flowers. A mom stops to kiss her husband and kids who are beaming with pride in her feat. Dads and daughters running along side each other. 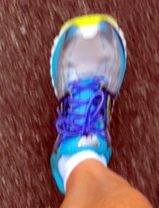 Mile 17, questions on my sanity sneak into my thoughts then shift quickly back to what I said to myself at mile one – how do you run a marathon? – one mile at a time, break it up. Mile 21, I can make it, take it all in, walk when you have to, keep going. Passing runners at the medical stations exhausted and injured reminds me that there are no guarantees. Anything can happen on marathon day. Everyone does not finish. I don’t visualize the finish line as much as mile 24.5 where family and friends are gathered, standing for over five hours in 40 degrees cheering thousands of runners on and waiting patiently for me to finally show up. Scattering flowers. Mile 23.5, my niece Emily runs up to greet me with a hug and smile and starts running me home. She ran her Dad to the finish and came back out for me. My left calf knots up and she stops to rub it out. Scattering flowers. We approach 24.5 to my cheering crowd – hugs and hoots all around as if I’ve won the marathon. Emily continues on with me and Linda, who has an injured knee, joins us to run me to the finish. Just down the road, Jeanne is waving her arms, doing jumping jacks and joins my finishing pack. Scattering flowers. The finish line. The medal. The journey that started four months ago and hundreds of miles is complete with the final 26.2. And each mile of the journey, I’ve never been alone. I’ve been gathering flowers.